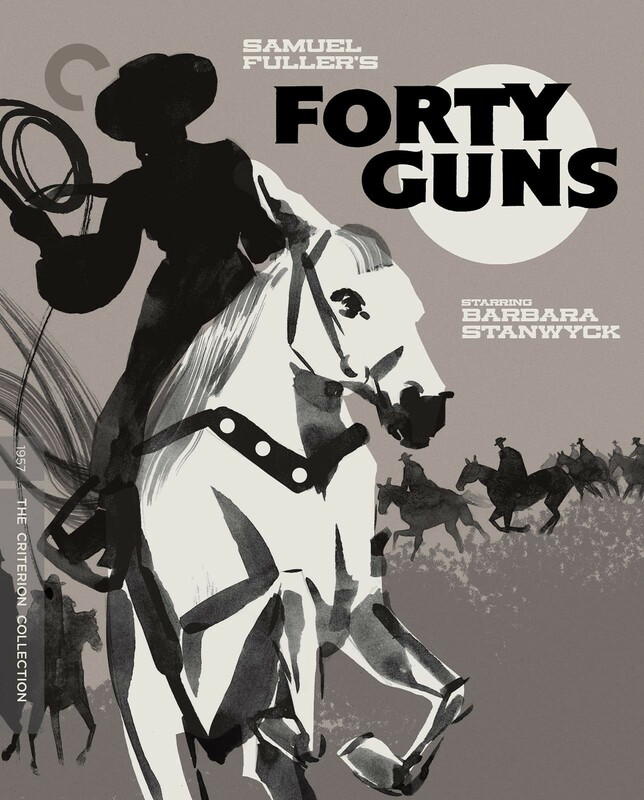 On December 11th, the Criterion Collection will release a special restored 4K Edition BluRay of Sam Fuller’s 1957 pulp Western classic FORTY GUNS. Synopsis: Hollywood legend Barbara Stanwyck saddled up with writer-director Samuel Fuller for the pulp maestro’s most audacious western, a boldly feminist spin on the genre that pivots effortlessly between ribald humor, visceral action, and disarming tenderness. High-riding rancher Jessica Drummond (Stanwyck) commands a forty-strong posse of cowboys, ruling Cochise County, Arizona, without challenge. 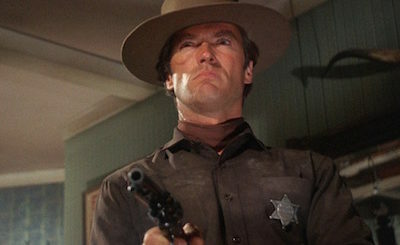 When U.S. marshal Griff Bonnell (Barry Sullivan) and his brothers arrive in town with a warrant for one of her hired guns, Jessica begins to fall for the lawman even as he chips away at her authority. With astonishing black-and-white CinemaScope photography, hard-boiled dialogue laced with double entendres, and a fiery performance by Stanwyck at her most imperious, Forty Guns is a virtuoso display of Fuller’s sharpshooting talents.